Scrumpt is San Francisco-based company that offers healthy, super fresh lunches* delivered right to your door. They currently offer 3 different products: Scrumpt Lunch Box, Scrumpt Travel Survival Kit, and Scrumpt Snack Box. *There are 2 different versions of the Lunch box available. One that includes perishables (fruits, veggies, meats, etc.) and is only available in the San Francisco area, and another “basic” box that includes a menu, grocery list, and non-perishables (crackers, nut butters, etc.). The basic Lunch box is available nationwide. The Scrumpt Snack Box, as well as the Travel Survival Kit, are both available nationwide. The Snack Box ($18.95) is a monthly subscription that contains 12-15 servings of kid-friendly, pediatrician & nutritionist approved snacks. 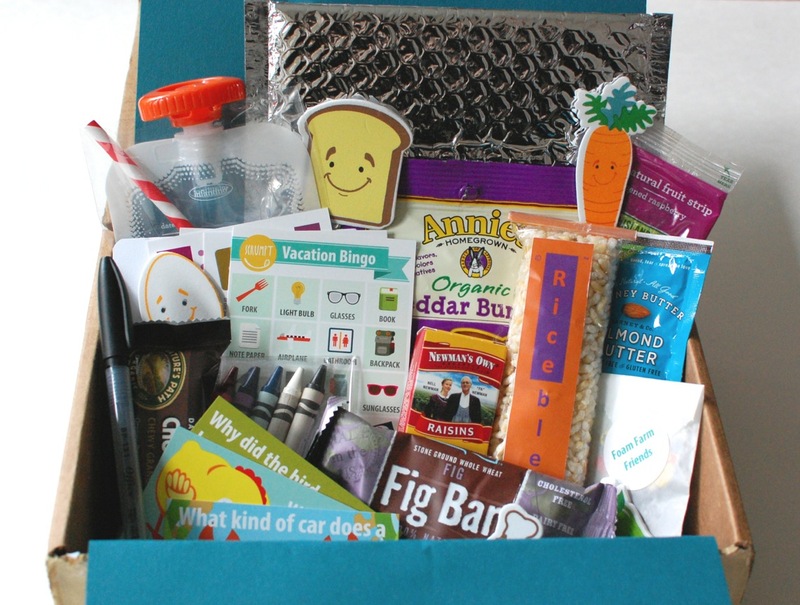 The Travel Survival Kit ($18.95) is a one-time purchase box that includes snacks, activities, and toiletries to help keep your kiddo entertained (and fed!) while on the road.